"Power drink even kids can enjoy! An apple a day keeps the doctor away! Try apple cider in place of the orange juice for a change." 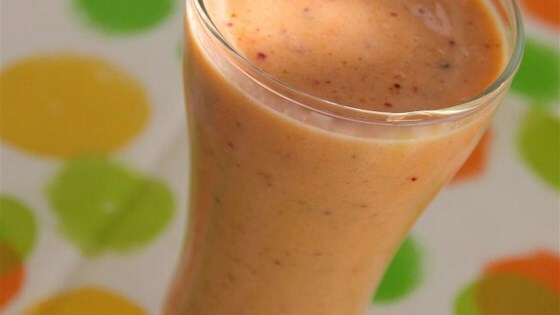 Blend the bananas, carrots, apples, yogurt, orange juice, lemon juice, flax seed, salt, dates, and ice cubes in a blender until smooth. The recipe makes a lot.